Is The Great FII Sell-off a cause for concern? Influenced by the "Bandwagon Effect"
Foreign institutional investors (FII) have sold stocks and bonds worth over $4 billion so far this year in Indian markets, the most since the global financial crisis year of 2008. As there is no crisis-like situation in global financial markets, and the global economy is witnessing a synchronized recovery, why are foreign investors selling Indian financial assets? And should this have policymakers worried? There are multiple reasons why foreign investors are selling. First, the liquidity condition in global markets is tightening and India is part of a wider emerging market sell-off. As Reserve Bank of India (RBI) governor Urjit Patel highlighted in his recent Financial Times article, emerging markets are facing a double dollar whammy. On the one hand, the US Federal Reserve is reducing the size of its balance sheet at a predetermined pace while raising policy rates. On the other hand, the US government has substantially increased bond issuance to finance tax cuts. Although markets were aware of the pace at which the Fed would normalize its balance sheet, a widening of the US budget deficit is adding to the dollar liquidity squeeze. The yield on 10-year US government bonds topped the 3% mark recently. Second, the increase in crude prices is pushing India’s current account deficit (CAD). After an estimated tripling to about $50 billion in the last fiscal, the CAD is estimated to widen further in the current fiscal. This is putting pressure on the exchange rate. The rupee has depreciated by about 5% since the beginning of 2018. The falling rupee affects dollar returns for foreign investors. Foreign debt investors are more sensitive to such changes because of their relatively short-term investment horizon. Third, higher oil prices and the general recovery in economic activity are pushing inflation expectations in India, which has resulted in a fall in bond prices. A fall in the underlying asset, along with the currency, increases the loss for foreign investors. 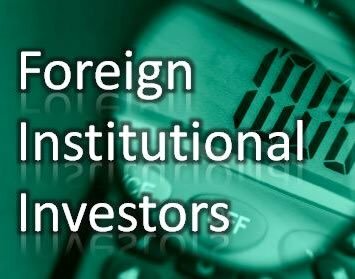 Foreign investors have also sold stocks in recent months owing to higher crude prices, delay in earnings recovery, and valuation concerns, among other things. It is possible that foreign portfolio investment will remain under pressure in the near term. Although the US Fed primarily focuses on the domestic economy, it has taken global financial conditions into account in policy decisions in the past. It remains to be seen if it is willing to accommodate the concerns of emerging market economies, as it could potentially spill back and affect the US economy. However, with the given US macroeconomic situation, it is reasonable to assume that interest rates and the cost of dollar funds will continue to move up in the foreseeable future. So should Indian policymakers be worried about the pullback by foreign investors? To be sure, unlike the 2008 financial crisis, there is no big underlying fundamental pressure in the global economy. What is currently happening is an adjustment in the global financial condition, which was excessively accommodating for almost a decade, and the sell-off in emerging markets is not entirely unexpected. Central banks in Indonesia and the Philippines raised interest rates last month. The RBI followed with a rate hike on Wednesday. Things have become a bit complicated for a country like India because the tightening of financial conditions has coincided with higher crude prices. Fundamentally, compared to the taper tantrum of 2013, the Indian economy is in much better shape to deal with selling by foreign portfolio investors. The RBI did well in recent years by accumulating higher foreign exchange reserves, which will help smoothen volatility in the currency market on account of higher CAD and selling by portfolio investors. As we have noted earlier in this space, the rupee is significantly overvalued in real terms and depreciation will actually help the Indian economy gain competitiveness. The challenge for the RBI will be to make sure that the rupee does not depreciate in a disorderly fashion. Further, the selling by foreign investors is likely to be transitory. They are not leaving Indian shores because something excessively damaging has happened in the Indian economy. Once things stabilize in international markets, it is likely that foreign money will come back. India has positive real rates and a pickup in economic activity will help improve corporate earnings. Retail money coming in the equity market through systematic investment plans of mutual funds is providing stability to the Indian stock market, which will help improve its global standing. In terms of policy, the situation demands a disciplined discourse. Any indication of a slippage on the fiscal front or a significant increase in inflation will spook the market, leading to higher capital outflow, which will complicate macroeconomic management.